The show starts beaming from July 24. The Judges being Sonu Nigaam, a singer and a performer that I have admired from the time I was in school and the legendary Ustad Rahat Fateh Ali Khan Sahab. Right now you must be thinking that Anandha Vikatan got it right. Or maybe they were an oracle. This show and my going there got discussed in finality and confirmed as of 5 days ago and all that I knew was I had to take the next flight to Mumbai for a day. And thanks to jet flights, I go in the morning and come back in the night once work is over to my own home in Chennai. The show has kids from Pakistan and India participating and am amazed at the talent and more importantly the attitudes and the mindset of the children there. An ocean of difference from lots of kids that I have seen so far. Also for the first ever time, or maybe its the way Sri Gajendra Singh functions, I saw everything on paper, on what will happen when, a proper run order and a discussion with the directors thankfully a day before the show and there are no surprises. A lot more methodology, discipline and professionalism in the way of functioning. Work starts on time. Nothing is forced and the kids are just the way they are. The kids definitely have the tameez as they say and I am seeing the genuine respect to music and they are there for the sake of music. Not for anything else. Also did not see contestant badmouthing the judges, as I have seen before. Which was also telecast I guess. Not for cars and houses and money. And more than anything else, I love the concept of the jodi between a Pakistani child and an Indian child as a team making up 10 teams altogether, thereby ingraining the message of brotherhood and love in them through music. As I left Mumbai, I read a quote by Raahat Khan Sahab in the newspaper which said that Pakistan has too much terrorism to encourage budding musical talent and that he is glad that the opportunity to showcase them is given by India. After meeting the kids, I wonder why any country would do, indulge in, or promote practices (I think if something like terrorism is not nipped in its bud by any country then they are indirectly encouraging it) that would actually adversely affect the future of their own children, their own future. And every parent of these kids in the show says that perhaps through this show, through music, the message of unity and brotherhood will come through. What better way can there be when the messengers of peace are children? I, like all others that dream, wish for that peace, hope and love for all the children starting from Kashmir to Pakistan to Afghanistan to anywhere were guns are louder than the laughter of happy children. As a singer, as a musician I am getting to hear so much of music that I have not heard before and I see that most of the really popular Hindi songs are all borrowed from the traditional tunes of India. My co-host on the show is Omi Vaidhya, better known as Chatur Ramalingam of 3 Idiots and he is a total riot. He brings an element that is absolutely ingenious in a show like this. Sonu ji gave me several pointers on presentation and how to go about certain things in the process. Loved listening to him in those few minutes I got. When the judges go about explaining a lot of things to the contestants, I am learning along with them. In addition to so many musical ideas my vocabulary in Hindi and Urdu is growing. Urdu is one of my favorite languages to listen to. It has a mellow and lovely sound. In addition I am getting to listen to Rahat Sahab and Sonu ji sing a lot which, for me as a rasika, is beautiful to experience. The show will go on for only about 12 weeks. By the end of 10 days of total work, I know I ll be a completely different person. Richer in experience. And God willing, richer in Music. Jayanthi: It definitely becomes different when the goal is money and not about learning music. I have seen that panning out in front of my eyes and depending on the prize, I have seen the attitude and behaviour of the kids here change. I speak from experience. Oh, and, 2 eProps to Anandha Vikatan. Turns out the smoke wasn't from a fire, but a pilot light. Enjoy the journey! Good luck Chinmayee with the new opportunity & environment! You will rock the northern tv scene too, I am sure! Congratulations and all the best on this one, Chinmayi. Keep rocking. Fire or Dry Ice....smoke has always has a source. Anyways..happy for you and All the very best. Vinoth: Sure. sometimes the source is also a burning stomach :) That way you ll see a lot of smoke around. Can you split your post into multiple paragraphs so that it is easier for us to read it? Hey watched Chhote Ustaad.Wow totally in sync with bollywood style, acccent!!Kudos. Ur face has lost some chubbiness in Chote Ustad compared to Sangeetha Maha Utham or was it the makeup in StarPlus? We started watching Chote Ustaad on Star Plus in the US this weekend (24th/25th) and it has been a great experience. It feels like we are watching the Finals of some competition rather than the first 2 episodes of a show, mind blowing singing. You and Omi make great hosts and your Hindi was a big suprise ! Apologies but didn't realize that you speak Hindi so well. I am sorry to say but the singing in Sun TV's Sangeetha Maha Yuddham that you host is not at all at par with any of the other singing shows in Star or Zee. Some of them are ok but overall it is a big disappointment. I really liked the show chote ustad...these kids are awsome, so talented. Really liked your singing...and now anchoring...Have a great day .. I started watching this program from last week and I feel good about the concept. Your Hindi is damm good. It's an entertaining program !! I wish you do lots of variety program like this. 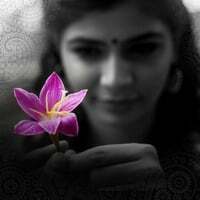 Chinmayi di...i havent seen u sing on the show...please do once atleast...it would be pleasure to see you perform..